Artist Joel Penkman is working on a project to paint 100 teacups! 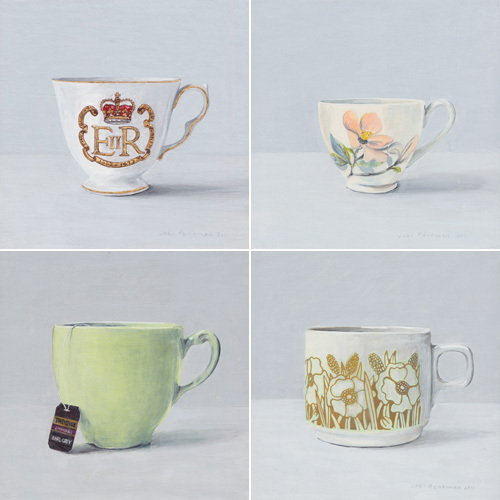 Aren't these lovely - and if you have a teacup you would like to see painted, you can email a photo to be considered. Such a nice idea... considering how many cups I have, I should maybe send him one to be immortalised!